The Washington Capitals made their fourth set of roster cuts on Thursday, sending three additional players to their AHL affiliate, the Hershey Bears. Goaltenders Ilya Samsonov and Vitek Vancecek and forward Sergei Shumakov were re-assigned to Hershey. In addition, Tyler Lewington and Michael Sgarbossa, who were placed on waivers on Wednesday, cleared waivers on Thursday and will report to Hershey. 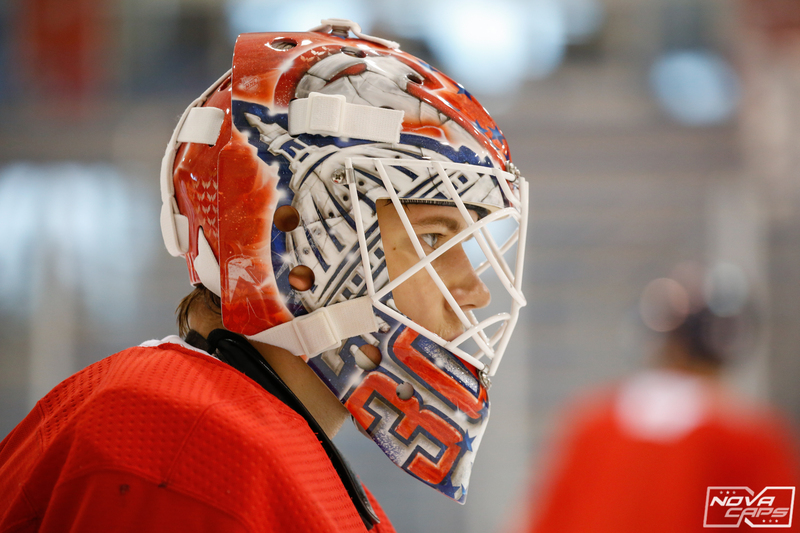 The moves leave the Capitals with just two remaining goaltenders in camp, Braden Holtby and Pheonix Copley, who will most likely start the season as the Capitals starter and backup, while Ilya Samsonov and Vitek Vanecek will most likely be the starter and backup in Hershey. Thursday’s moves leave just 30 players remaining on the training camp roster. 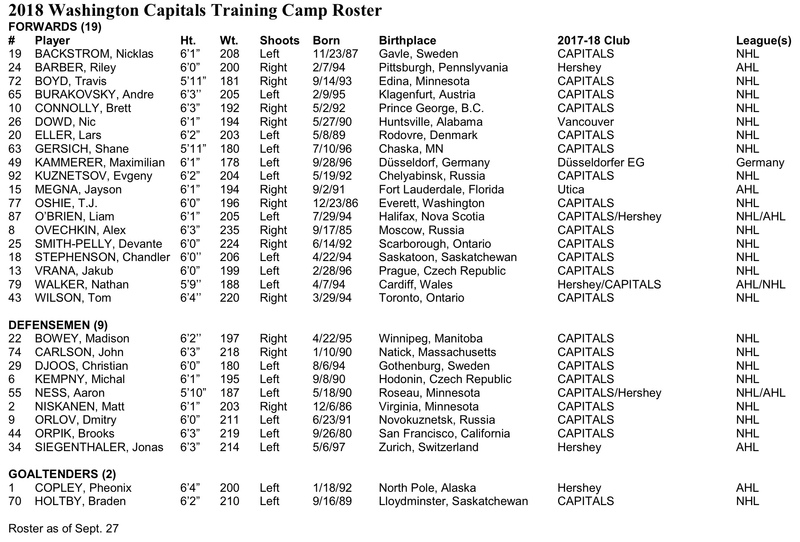 The Capitals will need to be down to 23 players by 5:00 pm this coming Tuesday. This entry was posted in News and tagged Ilya Samsonov, Michael Sgarbossa, Tyler Lewington, Vitek Vanecek. Bookmark the permalink.